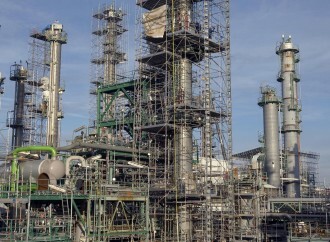 The Federal Government has spent over N400 billion ($2.036 billion) on the Turn Around Maintenance (TAM) of the country’s refineries in the last 13 years. Data reveals that the money was budgeted for TAM between 2000 and Jonathan Hembe. The investments were different from about $308 million spent for the same purpose by the military government of the former heads of state, General Abdusalami Abubakar (rtd) and the late General Sani Abacha. The administration of former President Olusegun Obasanjo, set aside $369 million for the TAM of the nation’s four refineries, while the former presidents – Abdusalami Abubakar and Sani Abacha’s regimes spent $92 million and $216 million respectively for the same purpose. “In 2007, the NNPC claimed it awarded the contract for a comprehensive TAM on all the refineries to a Nigerian firm. The contract sum, as revealed by the then Group Managing Director of the Corporation, Abubakar Yar’Adua, was $57 million. “In 2009, the then GMD of NNPC, Alhaji Sanusi Barkindo, also announced that the corporation spent $200 million on the maintenance of the Kaduna Refinery alone,” the data showed. Besides, the Federal Government budgeted $1.6 billion on the turnaround maintenance (TAM) of the existing four refineries in Port Harcourt, Warri and Kaduna in 2013. In 2012, the former Minister of Petroleum Resources, Mrs. Diezani Alison-Madueke, disclosed before the Senate Committee on Petroleum Resources (Downstream Sector) in Abuja that after the turnaround maintenance scheduled to begin in January 2013 and end in October 2014, the three refineries would be able to operate at full installed capacity.